What is the LG V40 ThinQ? The LG V40 ThinQ is LG’s second flagship of 2018. First was the LG G7. As has been the case in recent years, the V-series sibling arrives a little under half a year later. This device is a slightly different proposition. The LG V40 has a larger OLED screen, three cameras on the rear, and a higher price. And it’s that final part that’s the LG V40 ThinQ’s only major issue. 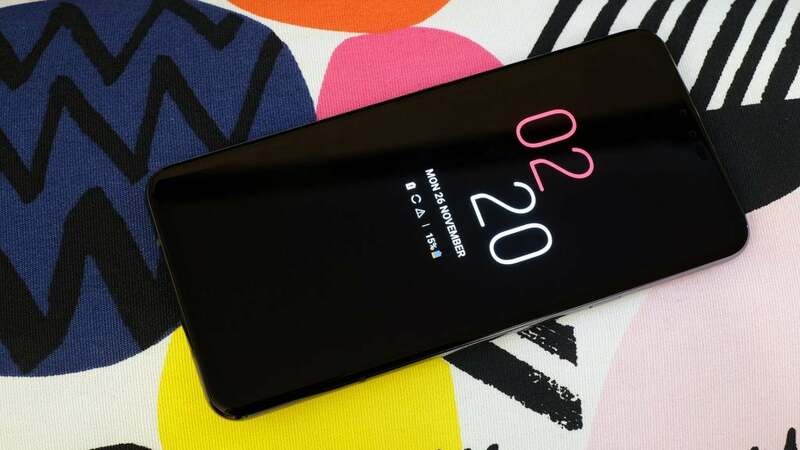 A US price of $900-plus puts it up against alternatives such as the Samsung Galaxy Note 9, Google Pixel 3 XL and Huawei Mate 20 Pro. It isn’t quite up there with those top performers, however. 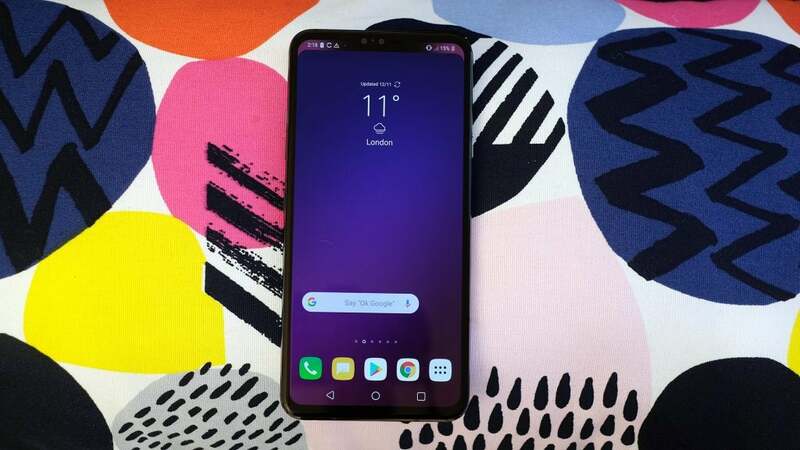 Given you can currently buy the LG G7 ThinQ for as little as £399, the LG V40 ThinQ will likely become a great buy once a few months have eroded the price. These days, almost all higher-end phones are made of glass and metal. The challenge for manufacturers is to make them appear interesting now that more budget devices have also adopted such a style. LG uses a semi-matt finish on the V40 ThinQ to help it stand out. 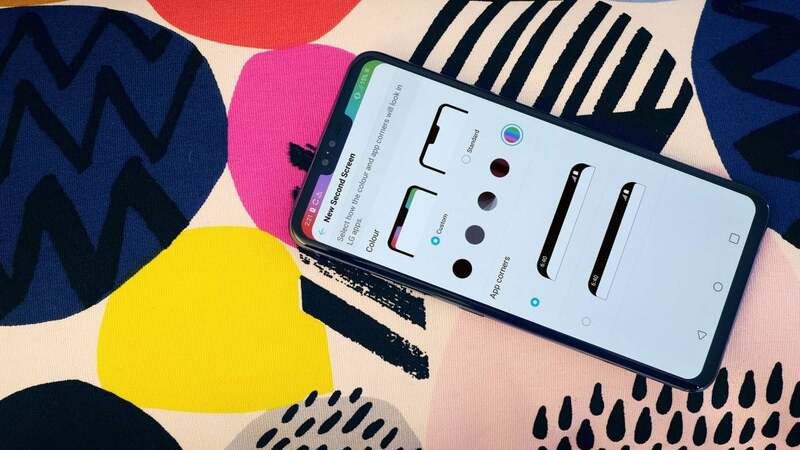 The effect is similar to that of the Midnight Black version of the OnePlus 6T. It looks good, making a lower-key impression than highly reflective glass. 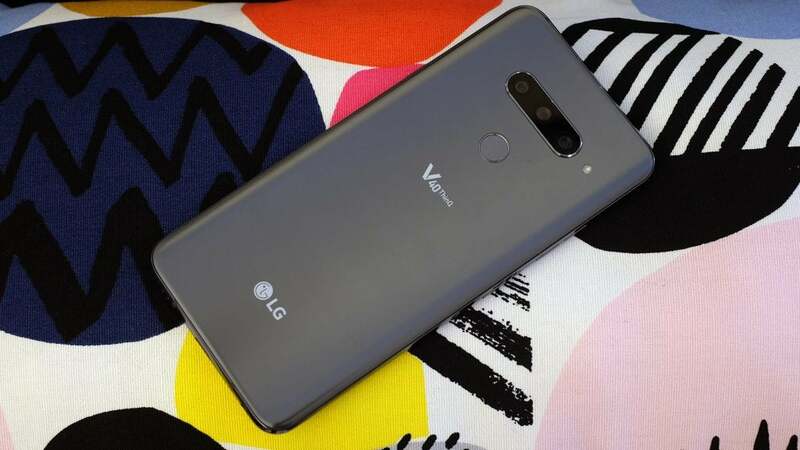 It also serves to give the LG V40 ThinQ a silky-smooth feel, and – thankfully – makes fingerprints and grease marks less apparent. Some versions in the range are more striking than others, though. This silvery-grey version is the wallflower of the lineup. Hunt down the red or blue models if you want a phone that stands out. There’s a black version, too, that has a much shinier finish than the rest. There’s a slight curve to the front and back panels of the LG V40 ThinQ, and both are Gorilla Glass 5. As ever with a phone with such a finish, using a case is probably a wise idea. 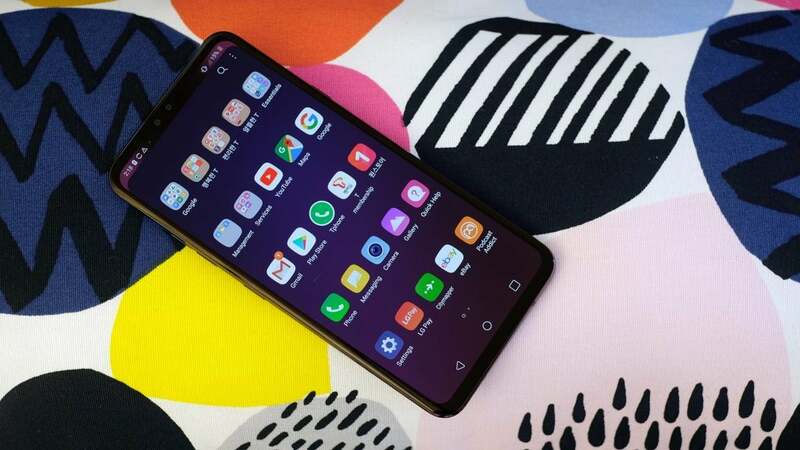 The 6.4-inch screen makes the V40 ThinQ appear huge on paper, but in the hand it’s similar to the 6.1-inch iPhone XR since the screen is an extra-long 19:5:9 aspect shape. It’s neither a giant nor petite; it sits in a sensible middle-ground. The LG V40 ThinQ is less of a tech show-off than the Huawei Mate 20 Pro, for example. There’s no in-screen finger scanner; it has a more traditional rear pad instead. And while the screen surrounds are slim, they’re less aggressively narrow than those of the Huawei or the Galaxy Note 9. In return, LG keeps the V-series’ famed focus on wired audio. Where almost all rivals omit the headphone jack, forcing you to use an adapter or wireless headphones for music listening, the V40 ThinQ has both a 3.5mm jack socket and a special DAC. A DAC turns digital audio into the analogue signal fed through headphones. This one is a 32-bit Hi-Fi Quad DAC, likely the same ES9218P chip as in the LG G7 ThinQ. If you’re not a portable audio obsessive, don’t worry about this too much. If you own high-end headphones or earphones, however, note that there is a perceptible difference in sound quality, which you can test by switching the Quad DAC on and off. Bass sounds slightly tighter and the mids slightly better-resolved. 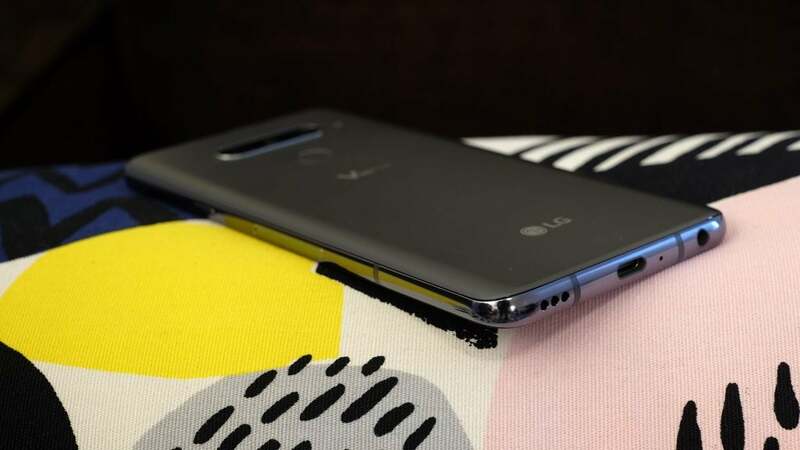 The LG V40 ThinQ also offers several sound modes that tweak the response slightly, and a DTS:X 3D sound mode – if you want to mangle sound. DTS:X may work well for movies, but I don’t recommend it for music. 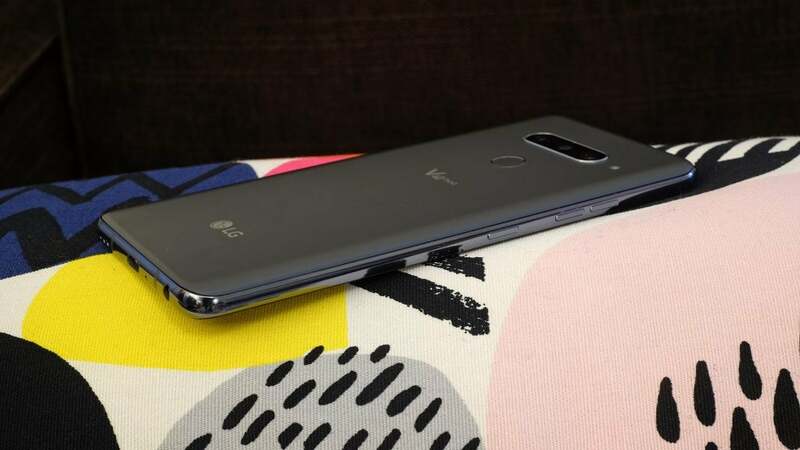 The LG V40 ThinQ also has the Boombox speaker LG introduced in the LG G7 ThinQ. It uses the backplate as a resonator, to make the sound much louder and beefier when you place the V40 on a solid surface – on a desk, for example. The effect seems much less pronounced than it is in the G7 ThinQ, and the V40 ThinQ doesn’t have bass as good as the Note 9 or iPhone XS Max when you hold the phone up. Nevertheless, it’s a neat feature. Your storage needs are served by the inclusion of 128GB, which should be sufficient for a pretty huge library of locally stored music and movies. Unlike the LG G7 ThinQ, the LG V40 ThinQ sports an OLED panel. Such screens are common amongst expensive phones, but this one is a little different. iPhones, the Pixel 3 and the OnePlus 6T all use Samsung AMOLED panels, which are renowned for their quality and energy efficiency. The LG V40 ThinQ features one of LG’s own pOLED screens. LG may be a prime manufacturer of the OLED panels for today’s top TVs, but it comes a distant second place in the world of OLED phones. As recent as 2017, LG’s OLEDs suffered issues with blue tinting when viewed from an angle – but the LG V40 ThinQ’s panel is pretty good. Off-axis viewing is still marginally inferior to top Samsung panels, but whites look clean, sharpness is impeccable, and you’re presented with a choice of colour modes. If anything, there’s too much choice. High-end devices tend to offer somewhere between two and five presets, each with a different colour profile. 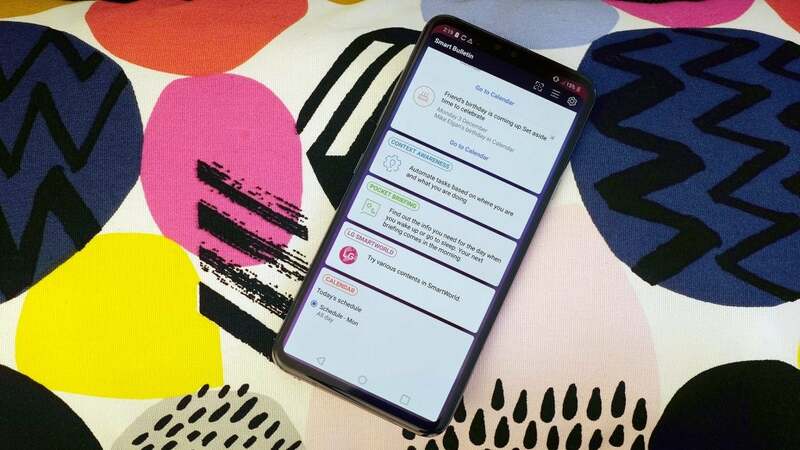 The LG V40 ThinQ has seven, including a customisable “Expert” mode. Colour calibration isn’t quite up to that of the Galaxy Note 9 or iPhone XS Max, with one too many modes looking oversaturated. However, this screen is vibrant and punchy, plus contrast is perfect. The LG V40 ThinQ supports HDR, and there’s a mode that enhances standard content too. Netflix HDR support is already locked down as well, and there’s a handy always-on display mode that lets you use the LG V40 ThinQ as a desk clock. As in the G7 ThinQ, LG has some fun with the notch. Rather than simply offering the standard notched view or one where the indent is hidden in a black bar, New Second Screen lets you fill it with gradients. Whether the four extra options will look any good depends on the colours of your homescreen background, but it’s an inoffensive extra that, like the Quad DAC, makes the V40 ThinQ stand out. The LG V40 ThinQ currently runs Android 8.1.0 and the custom LG interface. A 9.0 update may be coming, so you’ll have to wait for the “app timer” features this next version brings. These let you limit time spent in particular apps – handy if your relationship with Instagram, Twitter, Facebook or YouTube is a bit too close. I’m also not a huge fan of the LG interface. The days of outright bad custom Android UIs from the major manufacturers are long gone, but LG’s route of progress has diverted from Android’s own. You have to reinstate the apps menu, for example, and the app drawer is paginated rather than a vertical scroll. Overall, the visual style is a little less coherent than that of the Pixel, Samsung or Huawei devices. There’s plenty of room for disagreement here, though. For example, I’m a fan of Huawei’s interface at this point; but many aren’t. The level of customisation on offer is decent. There are numerous parts you can tweak including the icon style, which can be used to bring back some visual consistency, how many app icons fit on-screen and the screen transition animation. Themes allow you to give the phone a quick facelift, and there’s a newsfeed-style additional homescreen called Smart Bulletin. However, it’s populated by LG services. For most of us it’s just useful as a way to check up on upcoming calendar appointments; its visual design isn’t hugely appealing. The LG V40 ThinQ’s performance is great, as you’d hope for a phone at the price. A Snapdragon 845 and 6GB of RAM power the device. Qualcomm is expected to announce the follow-up CPU in December, but the 845 is the most powerful phone chipset from the company at the time of release. It’s an octa-core CPU with four Kryo 385 “gold” cores and four “silver” ones. This is the traditional arrangement of four power cores, and four everyday ones tuned for better battery efficiency. The phone scores 8939 in Geekbench 4, and performance in high-end games is more-or-less identical to Snapdragon rivals such as the Pixel 3 XL and Sony Xperia XZ3. It actually outdoes the Huawei Mate 20 Pro for gaming, since the Adreno 630 GPU is more powerful than the Mali-G76 MP10 included in Huawei phones. Apple’s iPhone XS Max is still the king of mobile gaming, but the LG V40 ThinQ is right up there with the top Android models. 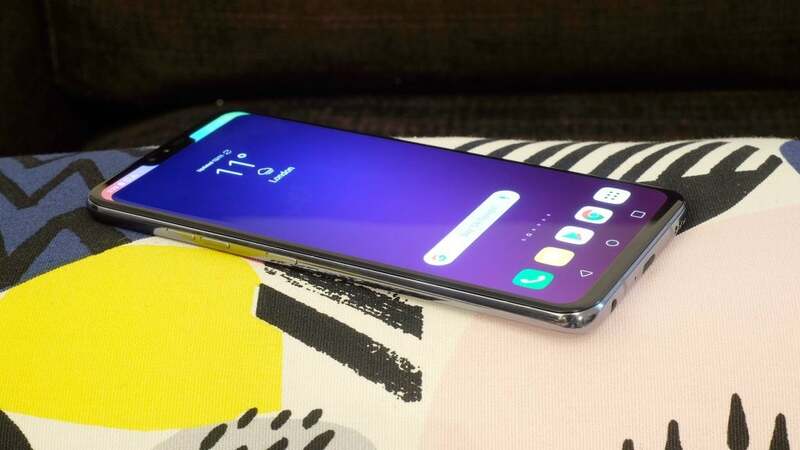 If you’re not attracted to the LG V40 ThinQ because of its audio cred, and you’re not here in 2019 because the LG V40 ThinQ has tumbled to a Samsung-shaming price, it’s likely that the camera array has caught your attention. The LG V40 ThinQ has five cameras: three on the back, two on the front. There are no sensors here to work in the background, to subtly improve image quality or enable background blurring either. All the cameras have a specific compositional function. You get standard, wide and 2x zoomed-in views on the rear, and both a standard and wide selfie view. This is a brilliant array for maximum versatility, and the wide in particular lets you get shots that just aren’t possible to recreate by moving around. However, we’ve been spoilt by the Huawei Mate 20 Pro, which plays the same trick with the rear camera array and – and does it better. 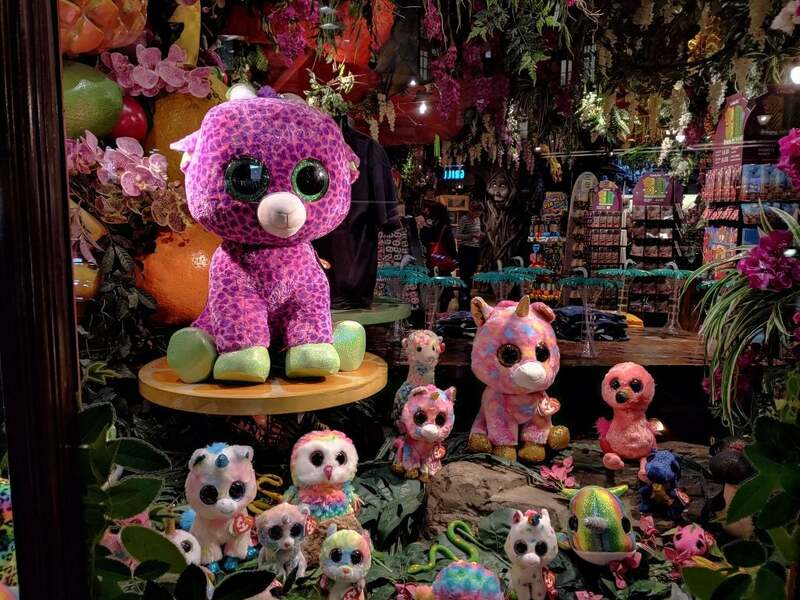 There’s more of quality drop-off in the wide of the LG V40 ThinQ; it has a fixed focus, the zoom isn’t as pronounced. 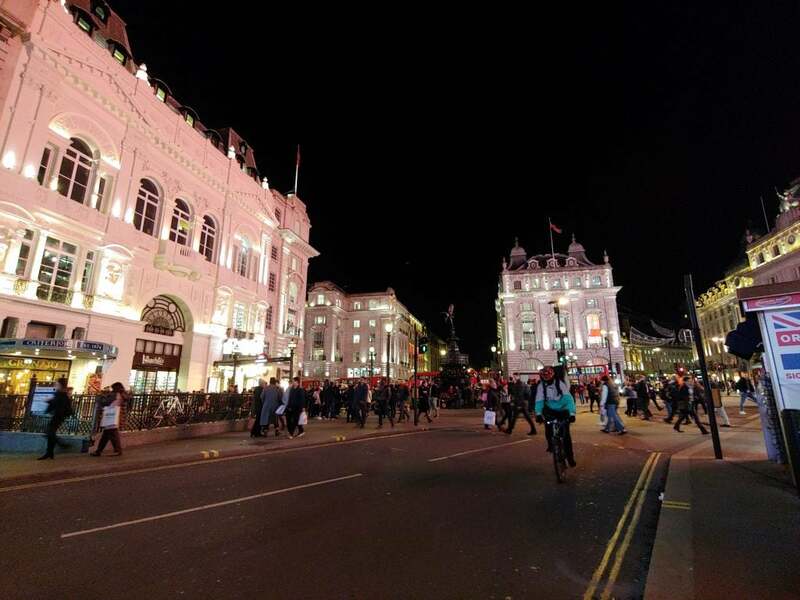 And while the LG V40 ThinQ is better than most at making night shots bright and clear, clarity and definition are again a step below the Mate 20 Pro’s. This camera snobbery wouldn’t be worth dwelling on quite so much if the LG V40 ThinQ were, like the LG G7 ThinQ, a price band or two below such top-level phones. All that said, the LG V40 ThinQ’s main sensor is great. 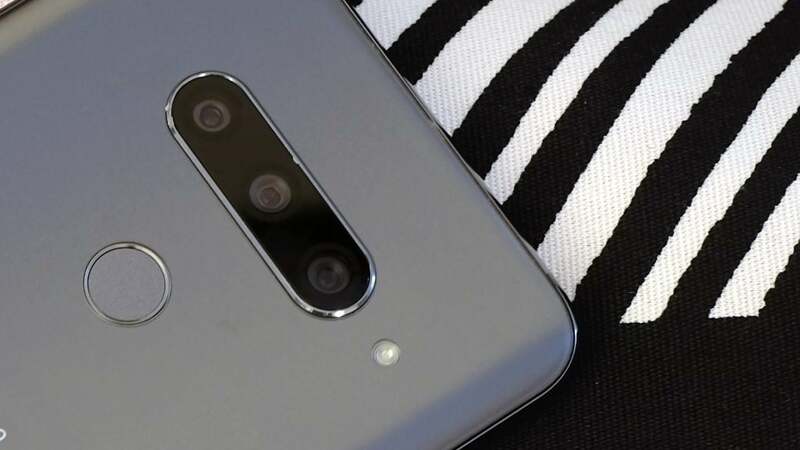 It’s typical high-quality, 12-megapixel hardware used by almost all top-price phones – bar the oddball 40-megapixel Mate 20 Pro. Processing, in particular with regards to colour, isn’t at the same level as the Pixel 3 XL, but you can take some great shots with this handset. The app does seem a few updates away from perfection, though. Switching between camera views can feel clunky. LG has explored a different way to use this camera setup, as it has with the screen notch. 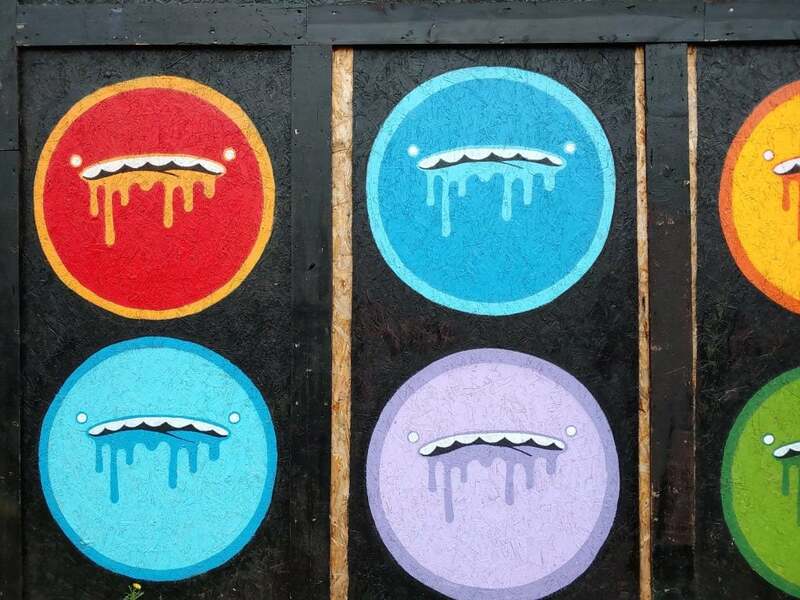 Triple Shot takes an image with each of the rear cameras in quick succession. You compose using the wide view, so the 2x in particular may be way off what you wanted until you master this mode. Nevertheless, you can create short videos and GIFs with transition animations between the shots. For video, the LG V40 ThinQ can shoot at up to an impressive 60fps at 4K resolution. However, as usual, you’ll get the smoothest results if you stick to 1080p. The Super Bright camera mode should be the most interesting. It advertises the same brightening tricks seen in ultra-low-light stills, but doesn’t seem to work with current software. Fingers crossed for an update. Selfies more your thing? The main camera is very good. 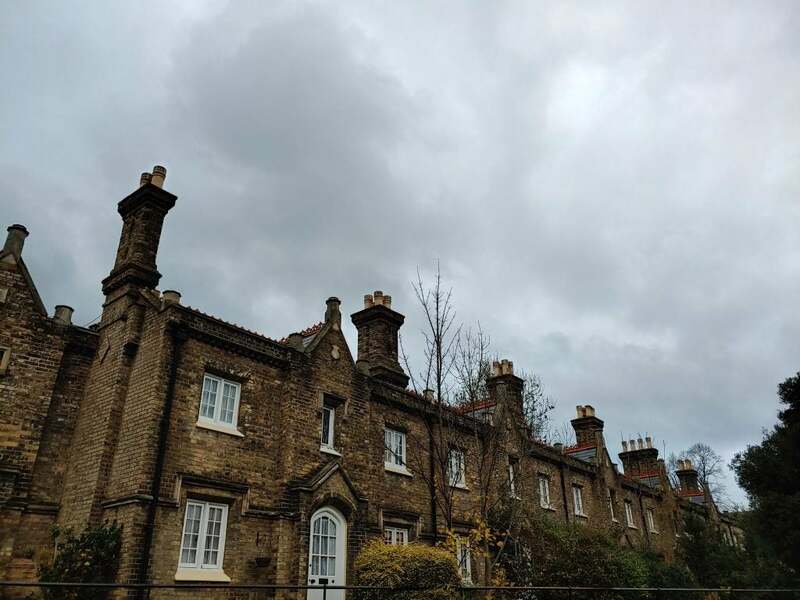 Like the Pixel 3 XL, the 8-megapixel sensor may not appear impressive, but it delivers solid results in almost all conditions. The Pixel remains better, though. Image integrity is okay from the wide camera, too, but since this is just a 5-megapixel sensor, stick to the main one where you can. The LG V40 ThinQ has a 3300mAh battery. This is acceptable for the size of screen, but still smaller than much of the top-performing competition. For example, the OnePlus 6T battery is 3700mAh, the Galaxy Note 9’s 4000mAh, and the mighty Huawei Mate 20 Pro’s is 4200mAh. Given the Huawei has roughly the same size of display, that disparity is significant. Real-world stamina of the LG V40 ThinQ is acceptable. Refrain from asking anything too demanding from it for any length of time and it will comfortably last a full day. However, you don’t get the capacity buffer that lets you indulge in some extra video streaming, gaming, or binging on audio streams without risking the battery draining altogether before bedtime. For those who have commutes on trains subject to reliably unreliable delays, that extra stamina can mean a lot. The LG V40 does, however, have fast charging and support for wireless charging over the Qi standard. Those with office jobs can plug a Qi pad at their desk and pretty much eradicate any battery life worries. Why buy the LG V40 ThinQ? 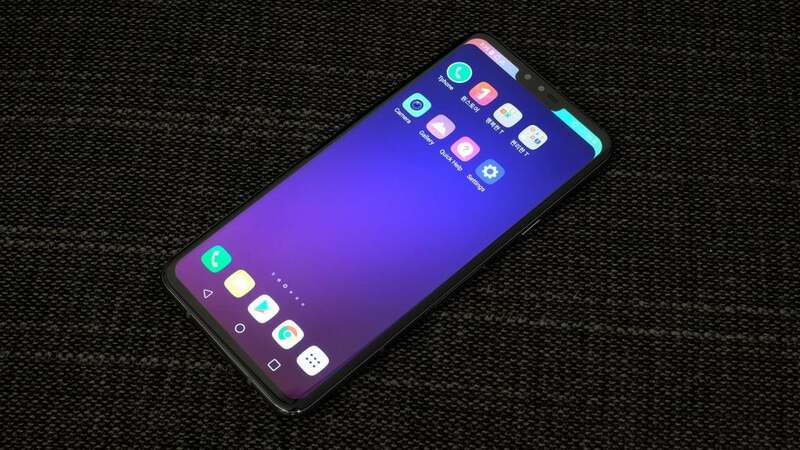 The LG V40 ThinQ will be a worthy consideration for many. However, like so many LG flagships of the past, it likely won’t reach the peak of its desirability until months after release. Right now, the LG V40 ThinQ is a little too pricey to compete with phones such as the Huawei Mate 20 Pro or Samsung Galaxy Note 9. Since the Huawei performs the multi-camera “trick” better than LG, the close pricing of both makes an unconditional recommendation of the LG device difficult at the original retail price. LG prices tend to drop more swiftly than those of Samsung, and even some Huawei models. When, or if, the cost dips, the LG V40 ThinQ will be a great buy. But neither is it a bad one right now, if you care as much about wired audio quality as any other feature of a phone. In that crowd but don’t have a serious pair of headphones? Then consider the OnePlus 6T? You could buy that phone plus a pair of Shure SE535s with an equivalent budget. They don’t need a “quad DAC” to sound great. 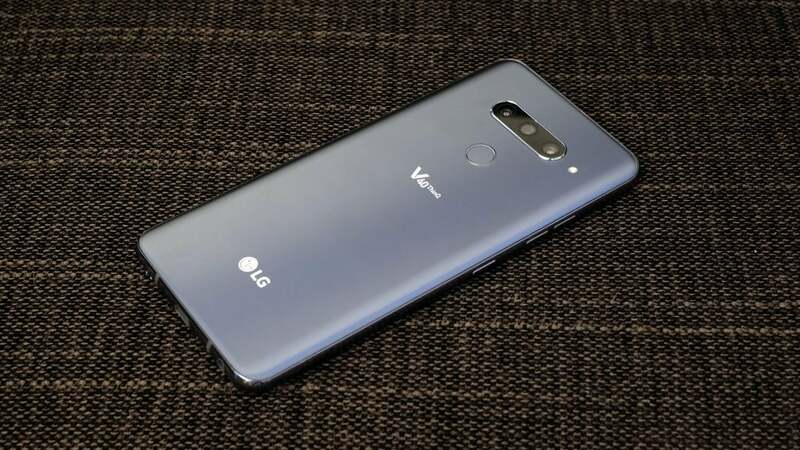 The post LG V40 ThinQ appeared first on Trusted Reviews.